Buying a home can be complicated and it can become overwhelming to learn of all the loan products available and the nuances of each. It’s normal to feel overwhelmed and it’s important to know that you’re not alone. 22 million service members have become home owners since 1944 and they all started with similar questions and in a similar spot that you find yourself now. Before we review how a VA Loan works, lets first start by going over what a VA loan is. VA mortgages are made through private lenders and are guaranteed by the Department of Veterans Affairs, meaning there is no private mortgage insurance. Avoiding that insurance is one of the many benefits of the VA backed loan. 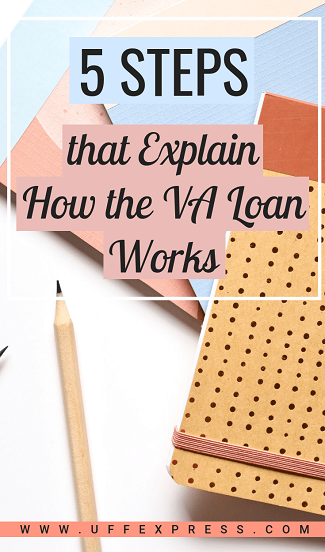 The VA itself does not originate loans, but sets the rules for who may qualify, issues minimum guidelines and requirements under which mortgages may be offered and financially guarantees loans that qualify under the program. Did You Know: There are lenders out there that will act like they’re a part of the VA. We talk to borrowers every day who think they’re getting a loan directly from the VA, but that couldn’t be further from the truth. The VA does not lend money, they simply insure loans and set the guidelines for the VA Loan program. The basic intention of the VA home loan program is to supply financing to eligible veterans and help veterans purchase properties without a down payment. The VA home loan will typically have the lowest interest rates and allow for borrowers with less than perfect credit to be approved. In fact, there is no minimum credit score to apply. You can become eligible for these benefits and much more my being active duty military, a veteran, reservists or National Guard. Surviving spouses of military personnel can be eligible as well. The first step with any loan product is to get pre-qualified. Before you speak to a lender, take some time to determine if you’re ready to buy a home. Or review our homebuyer’s guide so you can know what all it’s going to take to be eligible. Once you think you’re ready to buy a home, then it’s time to talk to a lender and licensed loan officer to get pre-qualified. The loan officer will help you get an estimate on how much house you can afford based on your income, credit, entitlement and other financial factors. 90 days of service during war time. Six years in the Reserves or National Guard. You’re a surviving spouse of a service member who died in the line of duty. Once you’re pre-qualified and a lender has determined you can qualify for a mortgage, then you should search for a top realtor in your area. It’s often best to get a referral from a friend or family member instead of trying to randomly search for one on your own. If you don’t have any referrals, we can help with this as well. As a trusted lender in the industry, United Fidelity Funding has worked with realtors all over the country who are well-qualified. Did You Know? As a home buyer, you don’t pay any realtor fees. The seller is responsible for paying the commissions for both your realtor AND their realtor. Therefore, it’s in your best interest to utilize the benefits of a realtor when buying a home. When you and your agent have found a home, then you will submit your offer along with the prequalification letter you received in step one. Generally, this step is a back-and-forth process between you and the sellers as you’re hashing out the purchase price, closing timeline, any credits the seller will give you towards your closing costs and how much of an earnest deposit you have to put down. Once you and the seller have come to terms, the contract will then get signed by all parties. Once you’re under contract then your loan processing will officially begin; there are timelines to keep and deadlines to meet after getting under contract with the seller. Working with a trusted lender and mortgage professional is a huge key to your success in closing on time. Once you’re under contract your realtor will likely encourage you and help you to line up an inspection on the house. This is a report done by a licensed inspector that will look for any significant issues with the home. An inspection is not a requirement to obtain a mortgage but it is something most home buyers obtain. Early in the loan process the loan officer will also order an appraisal through the VA. The VA then gets with one of their licensed appraisers to go out and value the home. The appraisal not only makes sure you’re buying a home for what it’s worth, but it’s also necessary to determine if the lender can provide 100% financing for your VA loan. The loan officer will provide you with a list of items to tackle while we wait for the appraisal and underwriting to be completed. The list will include; providing income documents, photo identification, signing of disclosures, shopping for home owner’s insurance, and anything else pertinent to an initial review by the underwriter. Once the necessary documents are gathered, they are they submitted to an underwriter for review. The underwriter evaluates your income documents, bank statements, and other related items to ensure debt-to-income ratios have been calculated properly and to ensure all VA guidelines are being adhered to. After the appraisal is complete, title work has been returned (this is something your realtor and lender will help you line up), and once all items have been approved by the underwriter, your loan gets approved and moves on to closing. In the real estate industry this is often called the “clear to close”. From the execution of your contract to the closing table, it generally takes anywhere from 30-45 days depending on the scenario. Once the loan has been approved and sent to the closing department, you, the seller, and the title company will schedule a time and place to sign the closing documents. Among the many documents is one called the Closing Disclosure (CD). The CD is a highly important document that will have the details of your loan broken out line by line to include items like your final payment, interest rate and total cash due at closing. Your Loan Officer should review the Closing Disclosure with you prior to the closing date to avoid any surprises. The initial closing disclosure will be available no less than 3 days prior to the close date. Once closing day arrives, you will likely meet at the title company or attorney to sign all of the paperwork. Many of the pages are disclaimers or items saying that you’ll correct any issues if the lender or title company missed something, but other documents are very important like the deed, transfer of title and mortgage note. Once the documents are signed, the title company or attorney will send them to the lender for “funding approval”. Once the lender affirms all documents were executed properly, your loan will get funded and you’ll get the keys to your home. Sometimes you can get the keys very quickly after closing while in some scenarios it may be a few hours.